2014 was a year without much travel for me because I was saving up all my holiday days and money for the big 5-month trip to New Zealand and Southeast Asia. Luckily, I did manage to get away for two weeks; I went skiing in January and I took a one week trip to Sardinia in September. And wow, Sardinia was beautiful! You can find our Sardinia itinerary in the map below, including the highlights and accommodations we stayed at. I traveled Sardinia with my husband; all expenses mentioned are for the two of us together. In total we spend €1000 for a week, which comes down to an average of €143 per day. This includes all expenses (flight, accommodation, transportation, food and activities), check the infographic for the full budget breakdown of the trip or download it in the Phenomenal Globe Travel Planning Library. Sardinia is a large island and public transport is very limited. That’s why we rented a car (via RentalCars.com) to explore the island. It gave us the freedom to explore the island at our own pace and to visit the places we wanted to see. We didn’t drive much more than 50 kilometers a day because the roads are not fast, however, the beautiful sights more than make up for that. 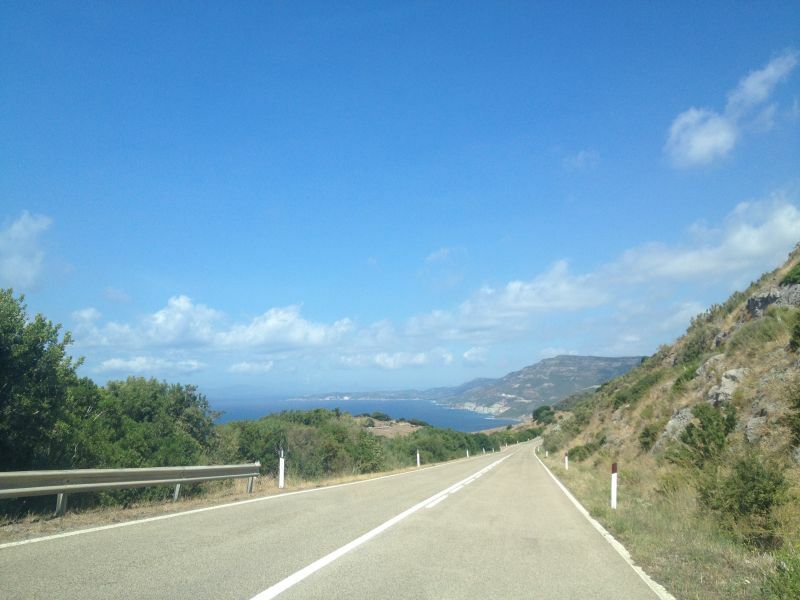 I especially loved the road from Bosa to Alghero, which offered splendid views of the Capo Caccia. 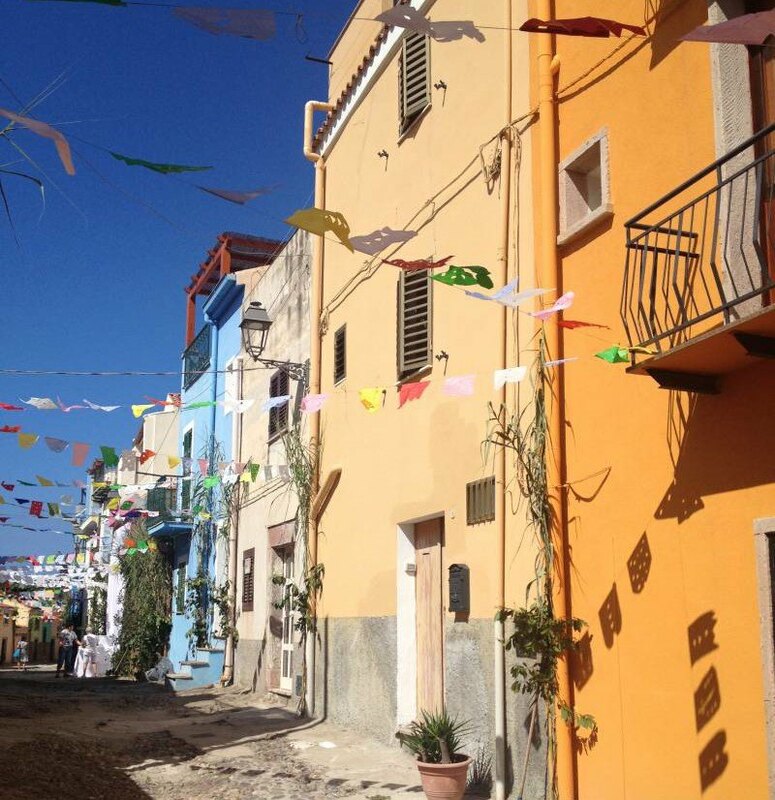 Be sure to include this road in your Sardinia itinerary! Let’s get one thing straight: traffic regulations don’t exist on Sardinia. Well, at least they seem to be more of a suggestion than actual rules. The locals race over the winding roads, while we were keeping the recommended speed, meaning we created more than one traffic jam behind our Lancia Ypsilon. Costs for the car: we paid €215 for a week (€175 for the rental fee and €40 for insurance against damages) and spend €95 on petrol. We stayed at six different accommodations, costing between €25 and €40 per night. I booked all the accommodations online via Agoda and Booking before we left. About: Max, the host, was very friendly and showed us around the apartment. He also gave us a map of the city and recommended a pizzeria which turned out to be excellent! 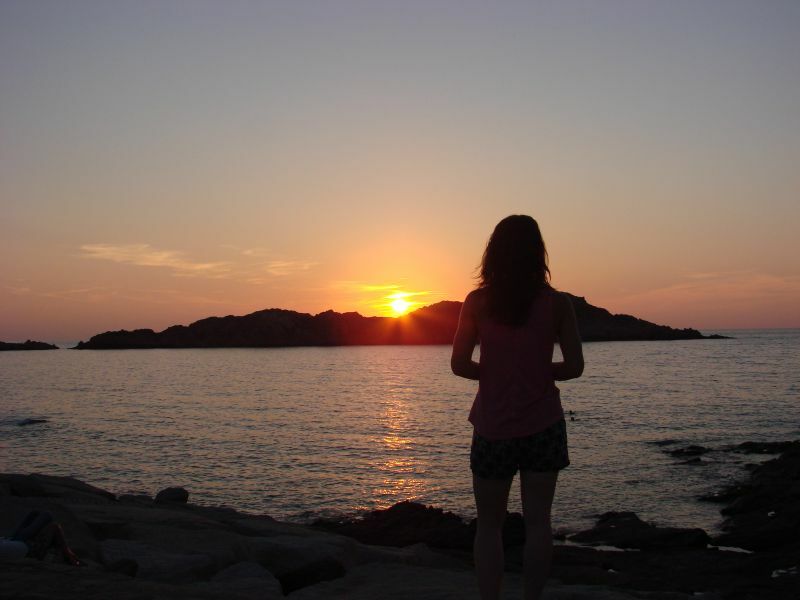 Budget accommodation with everything you need and in a good location, 10 min walk to the center of Alghero. It’s a bit noisy, we didn’t mind, but if you are looking for a quiet stay this isn’t for you (you share the kitchen and bathroom with other guests). About: the view from the veranda was beautiful, looking out over the sea and a beautiful sunset. The apartment was quite big, very clean and the bed was comfortable. Please mind that you have to bring our own bed linen and towels or pay extra for these! Also, there was a kitchen but no soap or sponge to wash the dirty dishes. 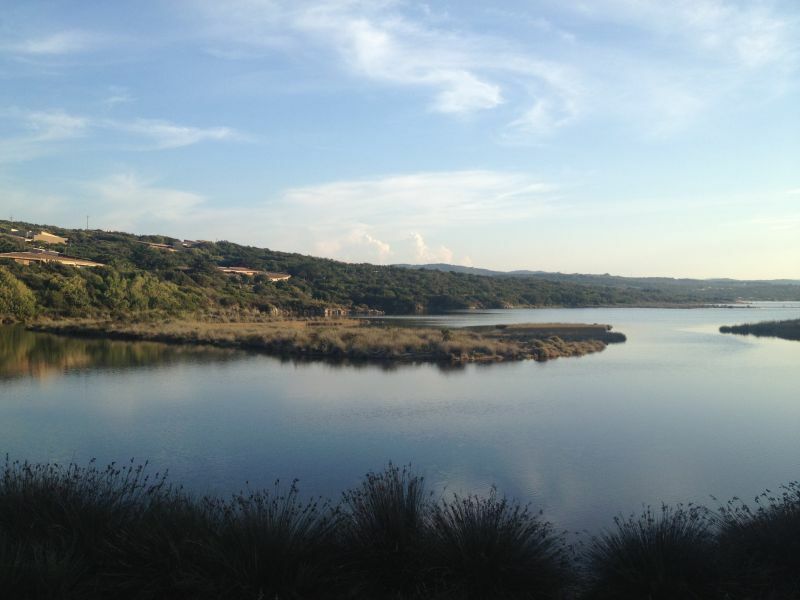 About: the location of the resort is absolutely stunning, with a beautiful view of the bay. The apartment itself is basic but clean and has good cooking facilities. The sofa bed is ok but not great, big bathroom but tiny shower. Please note that the swimming pool and shop are closed in the low season. Book now via Agoda or Booking. 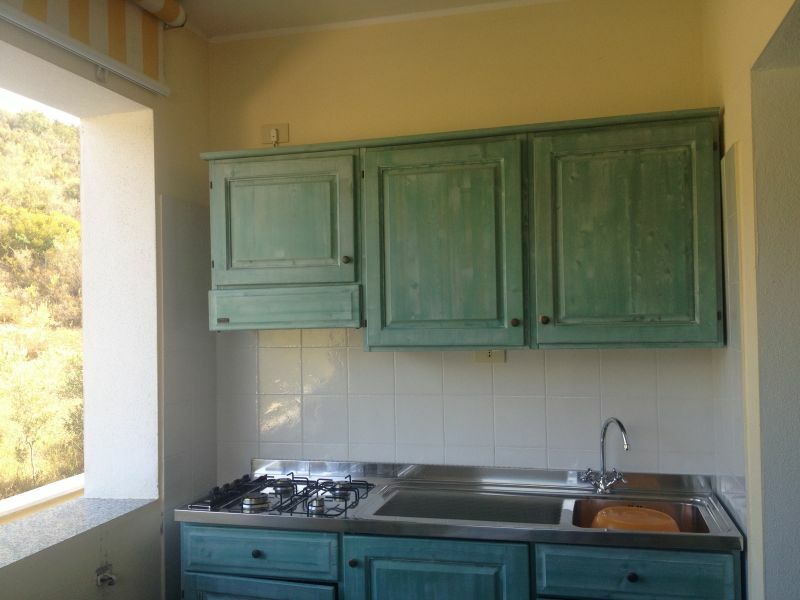 About: the absolute best thing about the apartment is the outside kitchen, how cool is that! The rest of the apartment is nice as well, comfortable bed and big clean bathroom. About: Pasquale is a friendly host and gave us excellent advice about Mastro Pizza. The place has a very comfy bed, a fully equipped kitchen and excellent WiFi. A pleasant stay. About: everything was fantastic, from the warm welcome with local wine and home-made cookies to the location (in the city center of Oristano) to the room itself, excellent! The room is very clean, the bed really comfy, the bathroom is new with a large shower and the air conditioning is a nice extra. The ‘court yard’ looks really cute but is also convenient for parking the car. Highly recommended! Download the Sardinia accommodation details below! I always use Skyscanner to find the cheapest tickets. For this trip that turned out to be Ryanair. We paid €180 for two return tickets from the Netherlands to Alghero (only carry-on luggage). 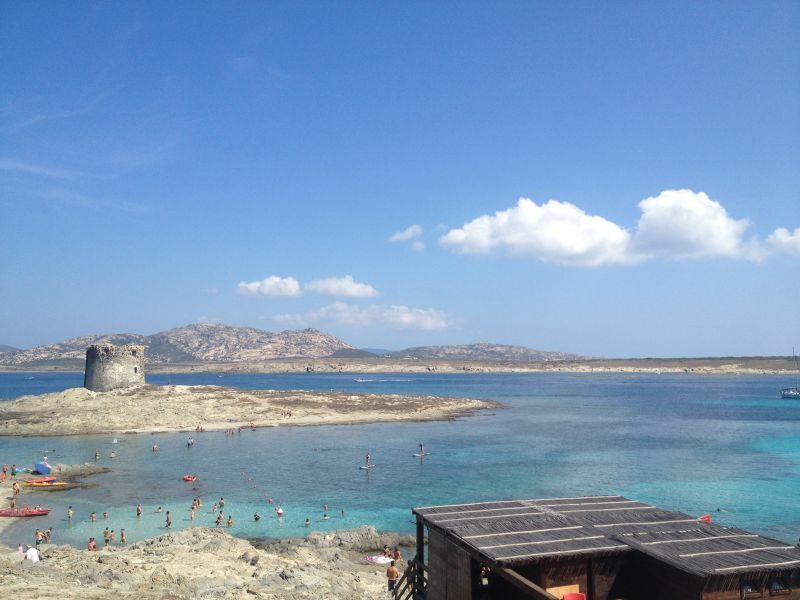 La Pelosa is a beautiful beach or spiaggia as they say in Italian, in the Northwest of Sardinia. The water has an absolutely stunning blue color and is so clear I didn’t even need a snorkel to see the fish dart around in the water! We crossed the water to a tiny island about 10 meters of the coast, which had a little beach and just a few people on it. As we picked our way over the slippery rocks with a bag full of valuables (camera, tablet, e-reader) I kept on thinking it was probably not the smartest thing to do without a drybag;-) Luckily we got across without falling into the water and drowning all our electronics. 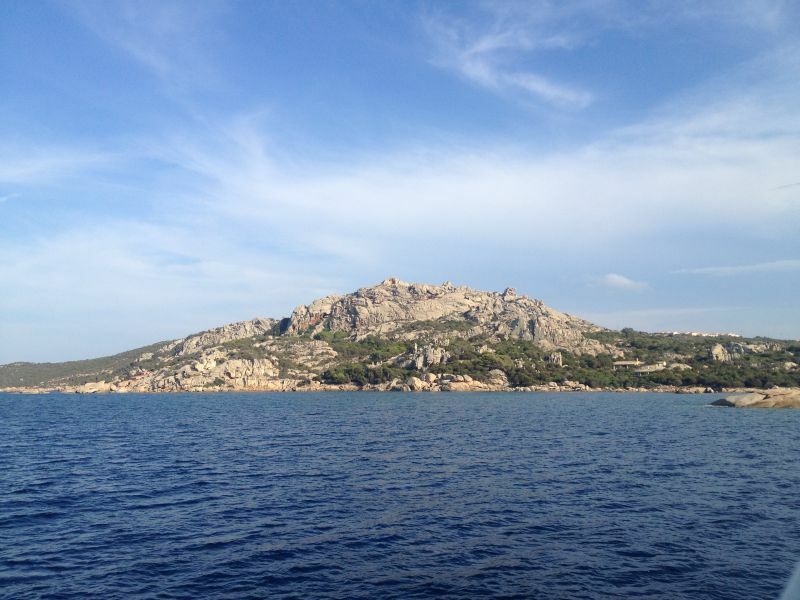 Another highlight was the boat trip around the Maddalena Archipelago, which consists of seven larger islands and many small uninhabited ones. The water is unbelievable clear and the beaches are fantastic. Booking the tour: you can book a boat tour online, for example with Elena Tours, but there are numerous tour operators in the harbor so it’s no problem to book on the day itself. Most tours starts around 10am and finish around 6pm. 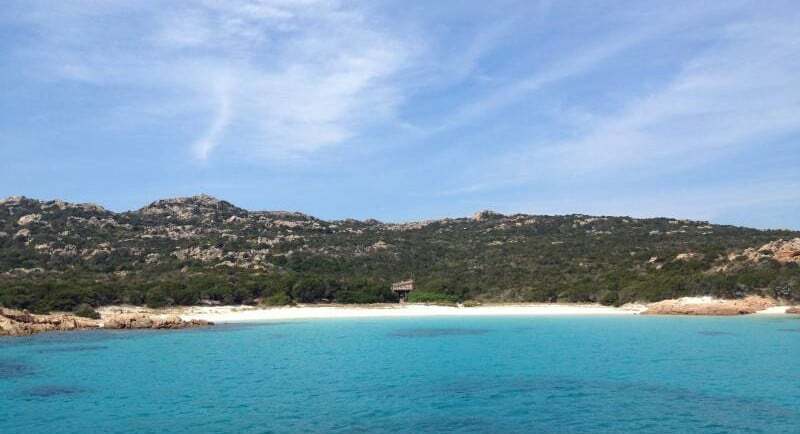 There are several itineraries but most tours have 3 or 4 stops on the different islands of La Maddalena. We paid €30 each for the tour, so €60 in total. Parking at Palau (departure point of the boat tour): a little word of advice, reserve enough time to park your car! There is a real problem shortage of parking space and it can be quite expensive the closer you get to the harbor. We parked a little outside the city center, which was free and just a short walk to the harbor. Nuraghi are a strange phenomenon and only found on Sardinia. Basically, they are ancient fortified towers build from large rocks. There are around 1100 spread around Sardinia in various conditions; some are in very good conditions while others are almost completely destroyed. 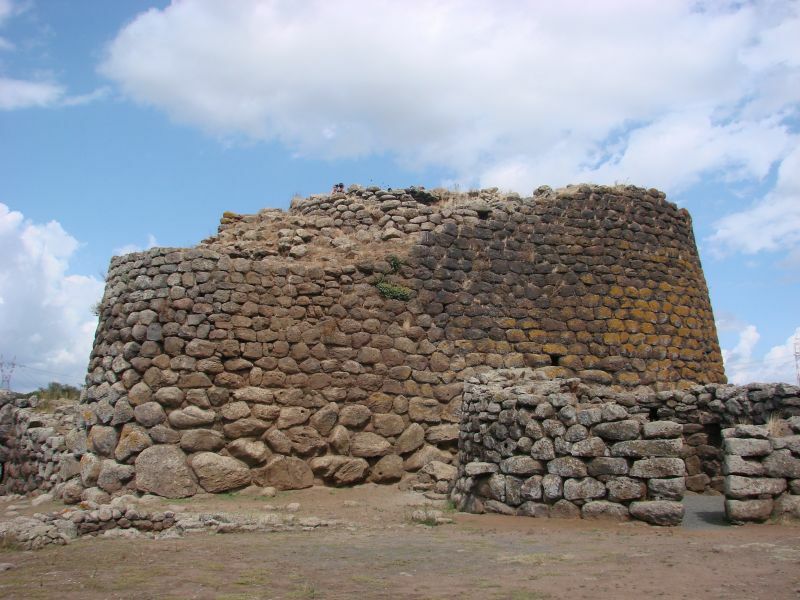 We visited Losa (admission €5 per person), one of the largest and the most complete nuraghe in Sardinia, complete with watch towers and a spiral staircase inside the main building. Very impressive to visit and incredible to realize they build these massive constructions so many years ago without any modern equipment! I loved Bosa, a beautiful village situated on the west coast of Sardinia by the Temo River (the only river on Sardinia). The houses are painted in various bright colors and the narrow streets feel almost like a labyrinth. There are little coffee and gelato bars everywhere and the overall atmosphere is really friendly. The castle upon the hill is worth a visit, mainly for the spectacular views over the town and the sea. We were lucky to visit on the last day of the Nostra Signora di Regnos festival. During the festival the village looks even prettier because of all the colorful flags, palm tree leaves and little altars build for the Virgin Mary. A week was not enough to explore the entire island, so I’ll definitely go back to visit the beautiful city center of Alghero, the ruins of Tharros and the fascinating Grotto di Neptuno. 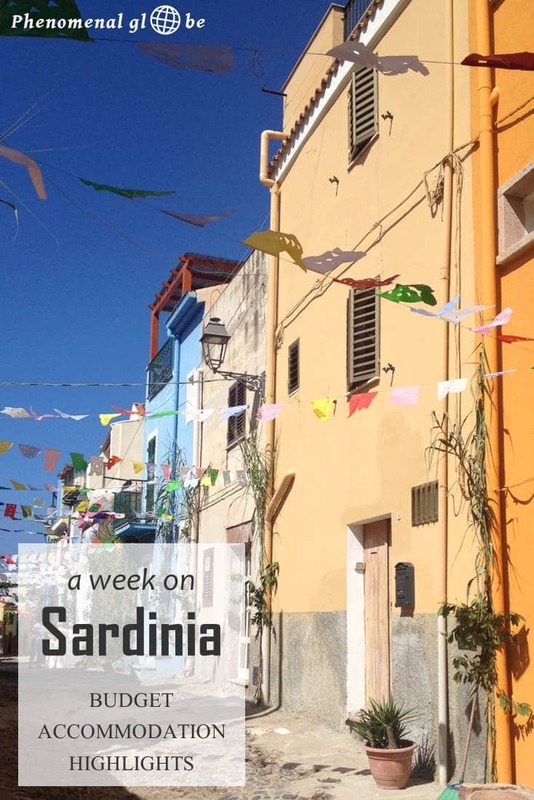 Want to follow our Sardinia itinerary? You can find all the accommodations and highlights in the map below! Disclosure: Please note that some of the links above are affiliate links, and at no additional cost to you, I will receive a small percentage of the sale if you decide to book an accommodation. I appreciate your support a lot, which helps to keep this site running. Please know that I only recommend accommodations that I have a positive and personal experience with. If you have questions about one of the accommodations mentioned, please don’t hesitate to leave a comment or contact me. Fijn, zo’n helder overzicht! Het is toch altijd lastig inschatten hoeveel een reis gaat kosten. Your trip sounds fantastic :)! Where did you hire your car from? Hi Katie, it was a really nice road trip! I rented a car via Rentalcars.com. Hope that helps, let me know if you have any questions and enjoy your trip:-). Thank you for your willingness to share. We intend to be in Sardinia in April. We’ll stay in Olbia for seven days. Do you have any suggestions for this kind of trip? You are most welcome, I love writing about my travels:-). 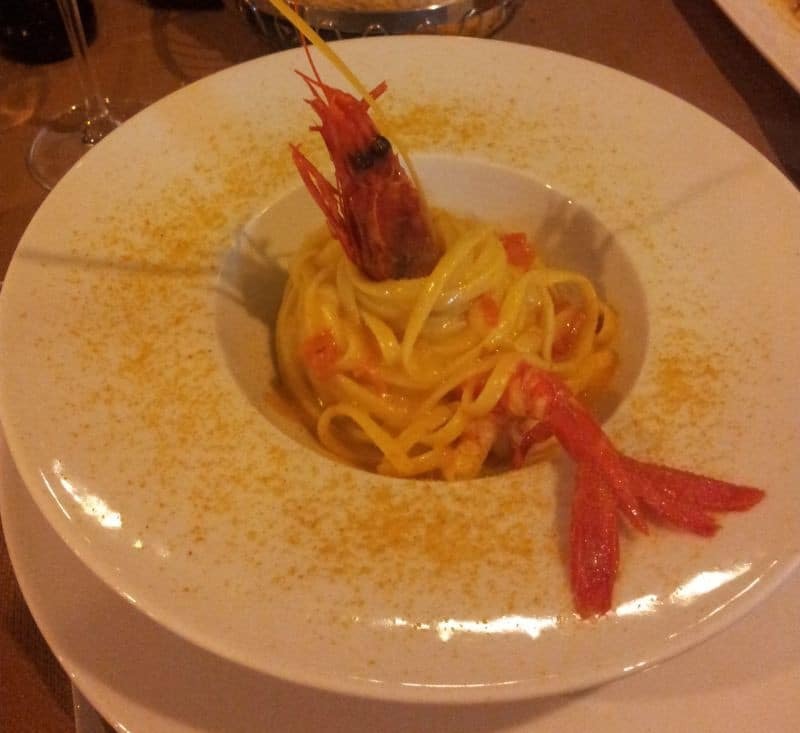 About your question, if you have a rental car you could easily visit Porto Cervo. You could also make a cruise around the Maddalena Islands. Depending on how far you want to drive you could also visit Nuoro (should be around 1,5 hour from you). And of course there are lots of small beaches around the East Coast which are yours to discover;-). Enjoy your trip!